Now more than ever, IPTV is becoming more popular as users liberate themselves from the expensive, limited deals offered by cable providers. According to NBC News, the average cable bill in America is now over $100, which is an increase of 53 percent since 2007. That’s on top of the money you’re already spending on the Internet and paying for your cell phone, all for a service that will prevent certain region-locked content from being streamed to your television. This is a pretty frustrating reality, so it’s understandable that so many Americans are ready to throw in the cable towel and find alternative ways of watching their favorite sports broadcasts and movies without paying for expensive satellite or cable. This guide will provide you with the means to research and find the best IPTV content box for your needs. So, we know the devices, but what are the benefits and disadvantages to them? We’ll keep this one concise: They’re just not good to stream with. TVs are slow to navigate, have limited processing power, and hardly have any customization options. The point of buying a TV is to display the content you want to see, so that’s where their strength is–not IPTV. Perhaps the biggest benefit to using a mobile phone to stream content is the fact that you probably already own one that you can use. They have much more streaming power than a smart TV does, and they’re very easy to use with a touch screen. Of course, the biggest problem is that your phone will never be as large as a television, which makes it hard to watch anything with anyone else. Unlike smart TVs and mobile phones, set-top boxes are specifically designed to stream media and that’s it, so they’re good at their specialty. There are so many different brands of boxes out there, ranging from the obscure Chinese brands nobody has ever heard of to the major flagship devices from household tech names well-known in America. Today, we’ll look at the best boxes for IPTV streaming available, examine their features, and provide a quick pros and cons list for quick consideration. Although each of the boxes we discuss are different in their own way, they do share several features: superior performance above other brands, user-friendliness, fast streaming, quick plug-and-play setup, and a large library of content. An Android box is rarely larger than a few inches wide. 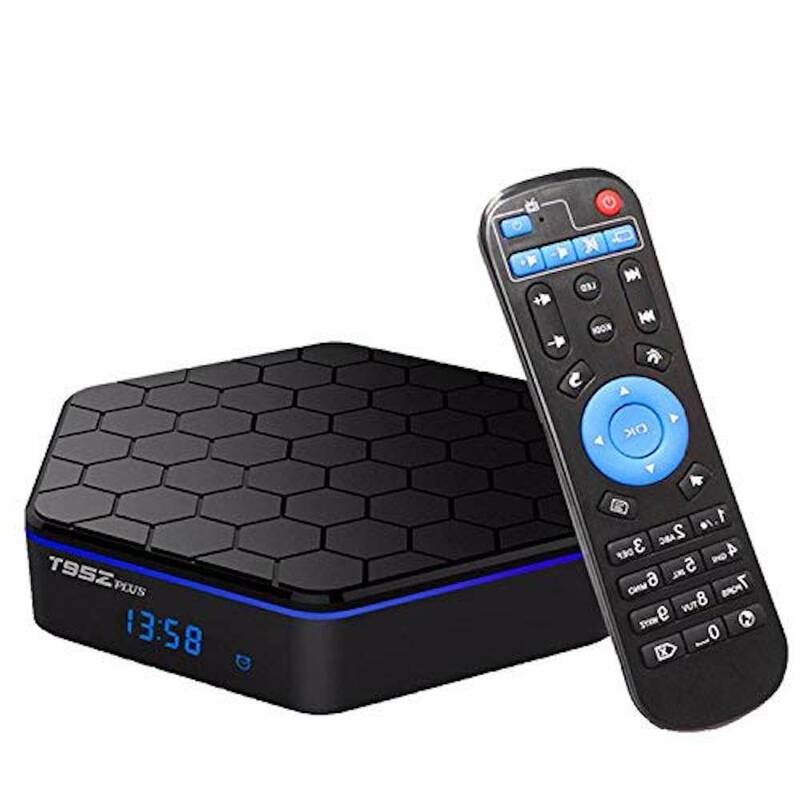 They come in small packages and are shaped much like the box they arrive in, and you’ll connect it to your TV to gain access to your applications, games, movies, sports, and television shows. It’s possible to watch just about anything on an Android box, as well as listen to music and browse the Internet. In a nutshell, an Android box will take your smart TV and make it even smarter than that. In fact, you don’t need a smart TV to make use of this IPTV option; any conventional TV will operate like a computer after setup. Of course, you are going to need a persistent Internet connection, but most of these units can be kept connected via hard Ethernet wiring or through wi-fi. After you’ve set up your Android box, you can use Kodi to stream content from IPTV providers or install other apps as you want. The reason many people turn to Android boxes are cost and flexibility of use. Dozens of boxes exist for less than $50 that are able to stream 4K content, though they may take a little extra configuration to get set up. For some more money, midrange devices can offer a little more processing power as well as more memory for a smoother streaming experience. One downside to Android boxes, however, is that they can seem a little clunky compared to other options. In any case, if you opt for an Android box, you will have access to the Android Play Store, which contains millions of apps that can greatly expand the ability of your device. We mentioned Kodi as one of these apps, which is a very versatile media center containing thousands of plugin options–though because most of these plugins are free, their reliability is questionable. We will discuss Kodi in more detail later. Finally, it’s important to remember that there are thousands of different Android box options at this point, and the quality and functionality of each box can vary greatly. With that in mind, let us discuss the best boxes you can buy for IPTV streaming. 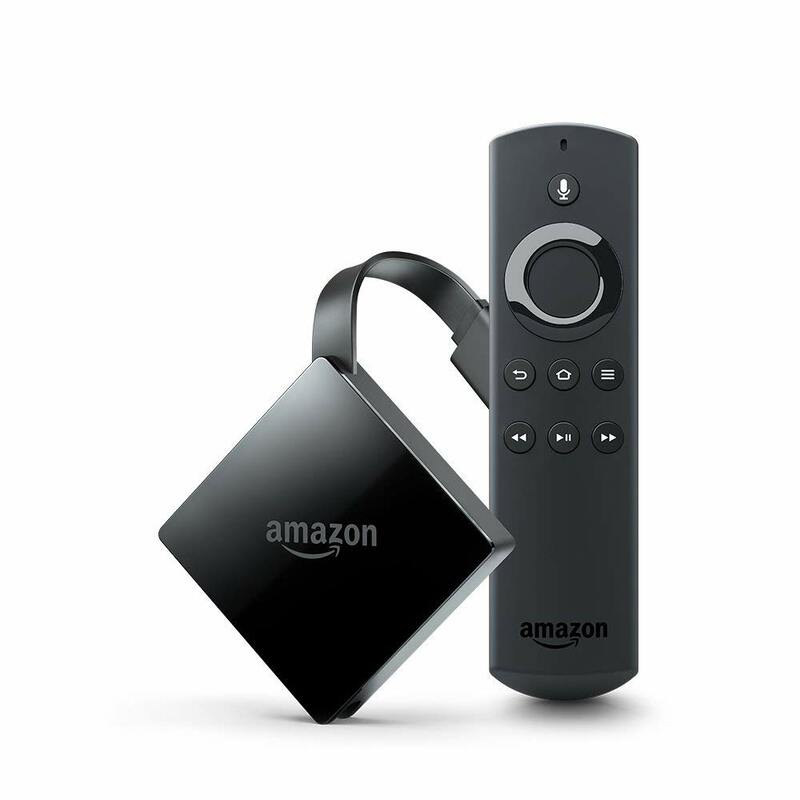 The release of the brand new Fire TV is just around the corner, and it’s making people wonder if they should hold off on buying the Fire Stick or if they should hang on for the new Fire TV. Because they both seem to be about the same in terms of specs, then it can be confusing to the average tech user, leaving uncertainty about which one to pick. Both products are actually worth the consideration here, for certain. They might seem like they do the same thing on the surface–after all, you need to plug both of them into a television, maintain an Internet connection, and create an Amazon account to install apps and watch thousands of videos. All in all, both apps are well designed to stream apps, movies, music, games, and television shows without a hitch, which gives them top of the list status. In other words, it’s clear that there’s an actual battle here. What makes the new 4K Fire TV worth the wait is right in the name; it can support the streaming of 4K HDR video at a rate of up to 60 frames per second. This alone should make the pre-order worth the consideration, especially since the Fire Stick can only support up to 1080p HD streaming. Looking further at the actual features of the product, the brand new Fire TV 4K has extra specs that we need to talk about because we would be sorely remiss not to do so. For example, the new TV comes with a 1.5 GHz quad-core processor, which is a step up from the 1.3 GHz found in the Fire Stick. The reason this makes a difference is because it will keep the interface and underlying processes work fast and smooth. Compare that with its 4K HDR streaming capabilities, and the result is a substantially cleaner, more beautiful image than the marriage of 1080p HD and a 1.3 GHz processor can produce. That puts the Fire TV that much farther ahead when compared to the Stick, so if you already liked what the Stick could do, then the new TV is going to be a real luxury. That’s not the only hardware that has seen an upgrade either, as the Fire TV also comes with 2 GB of memory, which just happens to be a full 100 percent extra compared to the memory of the Fire Stick. In addition to that, there has been a clear upgrade made to the GPU, which makes sense given the added support for 4K HDR streaming. Specifically, the Fire TV relies on a Mali450 MP3 instead of the Mali450 MP4 from the Fire Stick. Storage space remains the same on both devices, which clocks in at a modest 8 GB of room–a number that cannot be increased, because neither product has a slot for a memory card to be used. Unless you plan to download a huge number of apps, however, this is probably of little concern. As far as performance goes, it’s expected that the new Fire TV is going to be insane. Given the upgrades to the hardware, there’s no reason that the new TV should not run even faster than the stick while avoiding the lag that the Stick could sometimes offer. After all, it’s just a Stick with beefier insides, making the Fire TV the new device to raise IPTV standards. The early reactions for the upcoming Fire TV all seem to be very positive, and its brand name gives us confidence that the final product will deliver on all of those promises. To be quite frank, either device is a great choice for users who are looking for a cheap and easy way to turn their dumb television into one that can stream millions of hours of content. But at the end of the day, if you can afford to do so, it is going to be the smarter choice to save for the new Fire TV. Everything will run smoother on this device compared to the Stick, and not for that much more money. All things considered, the Fire TV is absolutely worth the extra few dollars given the near-double upgrade of hardware and the nicer-looking design. There’s no risk to waiting the few days to make this purchase. The SkyStream One TV box is easily the most powerful, fast, and sleek model that the lesser-known brand has. It is the perfection option for those who are dedicated to the best possible quality without making any sacrifice. When you opt for the fully loaded and featured SkyStream box, you will have the ability to stream television shows or movies at the best possible quality, with the exception of the inconvenience of having to install and configure Kodi before getting started streaming. This could be the best product for you if your goal is to get rid of the expensive cable bill but don’t want to search for other paid IPTV provider options. 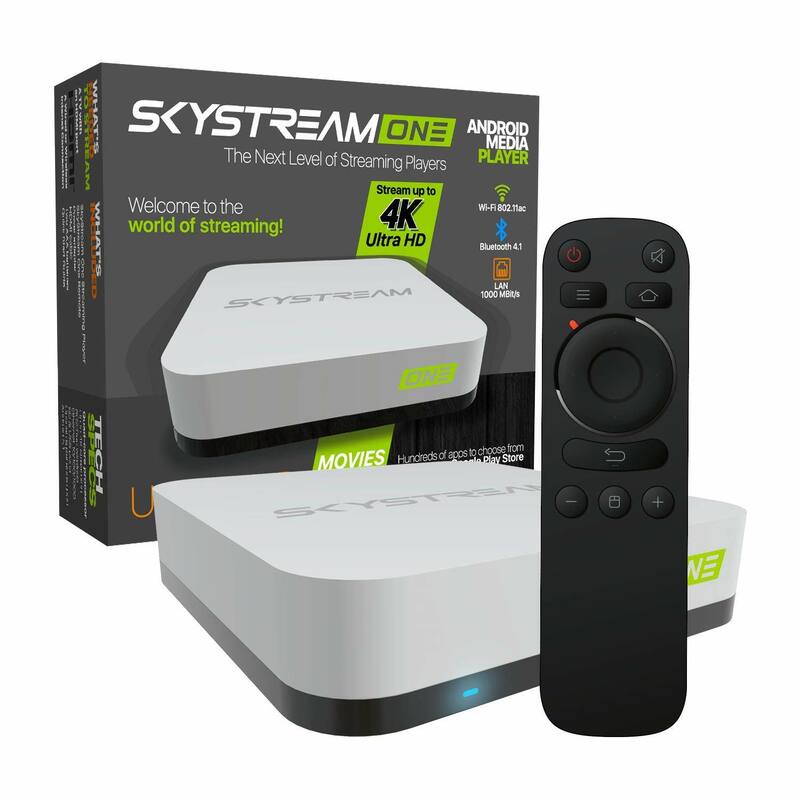 The SkyStream One box also makes a great choice for those who have had a bad experience with other kinds of boxes for IPTV streaming. If you want to save hundreds a month and without having to make that monthly payment at all, then it’s worth giving the SkyStream One a shot. If the limited choices have also been frustrating you, then you’ll be pleased with the effectively unlimited list of films, television shows, live sports, and documentaries you can stream for entertainment and more. In addition, if your goal is to turn a normal television into a full-on multimedia hub, then this is a great box to get started with thanks to the thousands of apps you can install and use. The box alone is an impressive marvel of engineering; it’s a well designed package that should withstand the impact of even the most careless delivery driver. After opening the package, you will see the isolated accessories, remove, and media player, atop of which is the manual with all the information you need. Make sure you read through this manual before getting started–do not just wait until there is a problem. Inside the package of the SkyStream X, you will find the One media player, its power adapter, an HDMI cable, its remote control, and the quick start guide and manual from SkyStream. The SkyStream One operates on Android 5.1.1 Lollipop, which is an updated version of Android containing several new features that older versions do not have. Some of these features include smoother navigation and livelier interactions thanks to a bright color palette and improved hardware. At the end of the day, the interface that Lollipop has to offer is simply the best of its kind–nothing like its previous versions could have offered. This operating system also allows for a stronger sense of security. With the help of smart lock, multi-user mode, guest mode, automatic encryption, screen pinning, and others, the SkyStream One is quite a secure device. Cheaper shows: It is no longer necessary to pay for every sports event, film, or television show you want to watch thanks to this streaming device. It gives you immediate access to video streaming from around the world. You still have the option to install Sling TV, Netflix, HBO Now, and Hulu, though some of these will require a fee. 4K HD: If you have a 4K Ultra HD TV, then this is one of the devices on this list that will help you take maximum advantage of it. Enjoy imagery like you haven’t see inside your own house before. Customization options: Android Lollipop isn’t just secure–it can also be customized for a personalized experience. It may come as a surprise, but number three on the list goes to this pretty unknown box known simply as the Play Stream Media Player by MINGHOO. Chances are that’s the first time you’ve ever read that name before, at least in the IPTV department, but the company’s media player definitely packs a real punch for its price. For example, it couples 32 GB of EMMC ROM and 3 GB of DDR3 RAM with a healthy 32 GB of storage extension space to ensure that you have all the room you need for the APKs and games you want to download and install. On top of that, you’ll have the option of streaming from more than 2,500 channels, making the MINGHOO player one that offers some of the most options in the IPTV department. Streaming options include television shows, music, movies, news, live sports, kids programming, international programming, and so much more. Not only that, but there will be no interruptions with its lightning-fast S912 8-Core CPU, giving you a significant edge against others when playing games online. If this isn’t your first time looking up information on IPTV units, then this is probably a name you have seen before; Informir MAG boxes are no stranger to the spotlight when it comes to the universe of streaming, thanks to the power, value, and efficiency that the brand is known for. 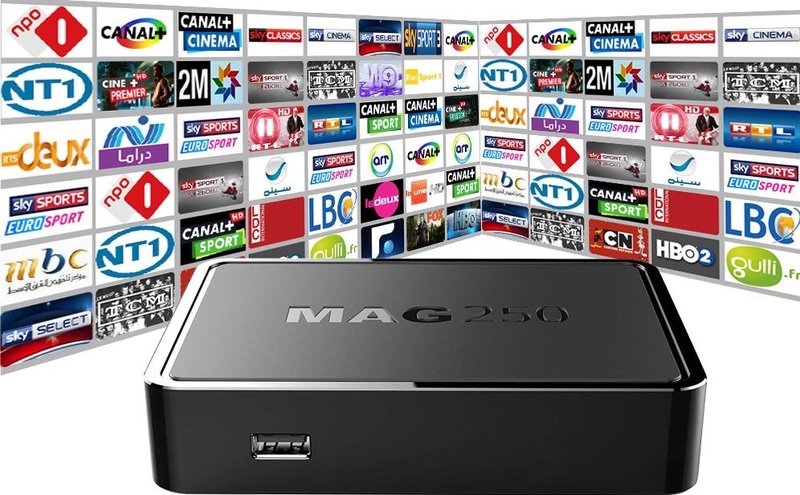 This specific model of MAG box comes in fourth on our list because it’s the best of its brand, proudly sporting a 650 MHz processor to help carry its 512 MB of RAM on its back, and making it a great choice for those who do not want to install apps but simply want to stream heavy data. 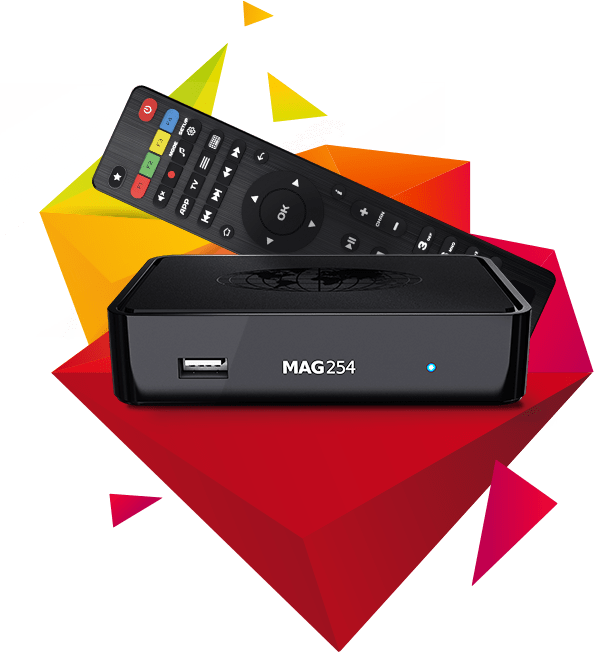 The MAG 254 was designed to support 3D video and similarly intensive interactive applications, however, for those who are addicted to watching TV, those who want to play games, and those who want to implement them in a corporate environment. On the other hand, if you are a typical casual user, then this is probably a little outside the range of what you need to get. It hardly seems like very long ago since this company was struggling to figure out the IPTV experience. The earliest Rokus had so many bugs that the Apple TV effortlessly brought down its product with its own such that it became a household name. 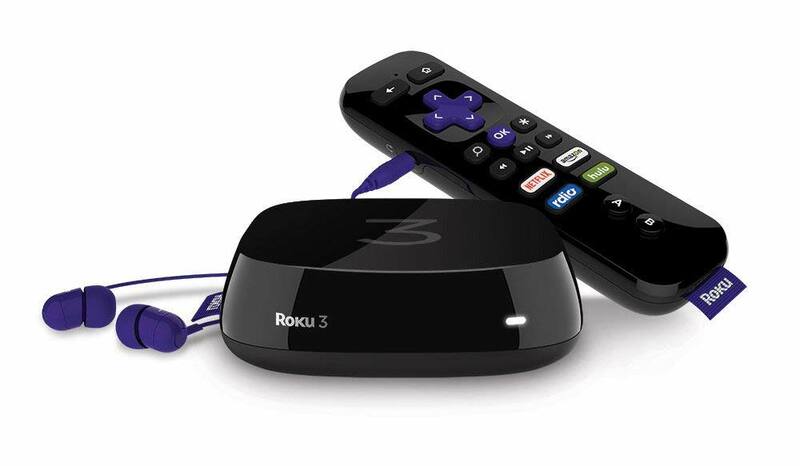 Fortunately, Roku got its act together, and the third generation of its IPTV media player is definitely worthy of the number five spot on our list. For starters, it has more than 2,000 channels to stream from, and it comes with a remote with headphones, as well as the ability to game online. It’s also designed to work with mobile devices for the purposes of casting, and just about any TV that can accept an HDMI connection. Not only that, but the voice search function is the strongest we’ve ever seen. The MINIX NEO U9-H can produce one of the most beautiful pictures in streaming thanks to its ability to render 4K ultra high definition images and video–and 4K is going to look beautiful every day. It also comes with voice search input that lets you control literally every application you want to install on teh device. Finally, it supports DTS licenses and Dolby licenses for superior sound quality compared to other boxes. Inside the box, you will find just about everything you could possibly want for your first time streaming content. That is, you will find an HDMI cable, a micro USB cable, an OTG cable, a power supply adapter, and even an external antenna for wi-fi, as well as a mini keypad and an extra remote if you get the bundled package. 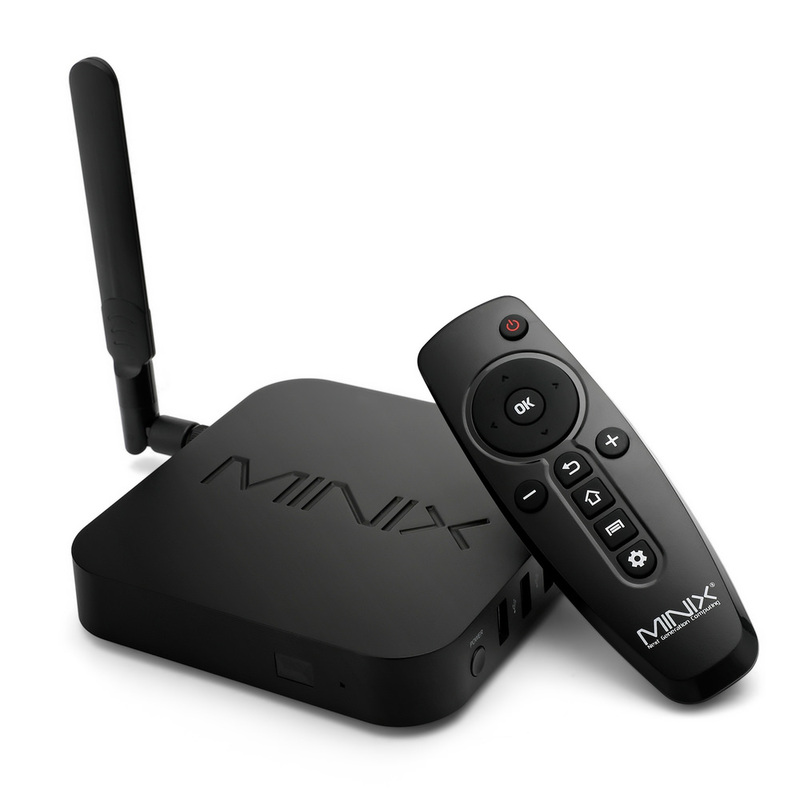 MINIX media boxes exclusively use the A2 wireless remote, which makes navigating the interface smooth and easy, which is handy when there are tens of thousands of apps available in the Android Play Store. The XB-III comes equipped with a 2 GHz quad-core CPU, 16 GB of ROM, and 2 GB of RAM. If you’ve been paying attention to the stats of the higher-ranked boxes, then you know that this is a fairly burly device that might not experience any buffering and will definitely download new apps faster than its competitors will. If you need to, you can slightly angle the antenna a little without breaking it, and it actually feels quite sturdy when you do move it. It probably wouldn’t break even if you accidentally dropped it on the table; you’d really have to want to break it to cause damage. It’s as simple as plugging it in and letting it boot up, though it is surprisingly slow for its first time around. It’s speed shows up when it finishes initializing, but it’s certainly strange considering its specs. Anyone who has looked into IPTV boxes at all has certainly heard of the Dreamlink T2, which is produced by the same parent company that makes the Formuler. In other words, it’s best to just think of the Formuler Z7+ as an upgraded, better-made version of the Dreamlink T2. The Z7+ was overhauled for 2018, giving it even more of an upgrade for both the casual and the heavy tech user. 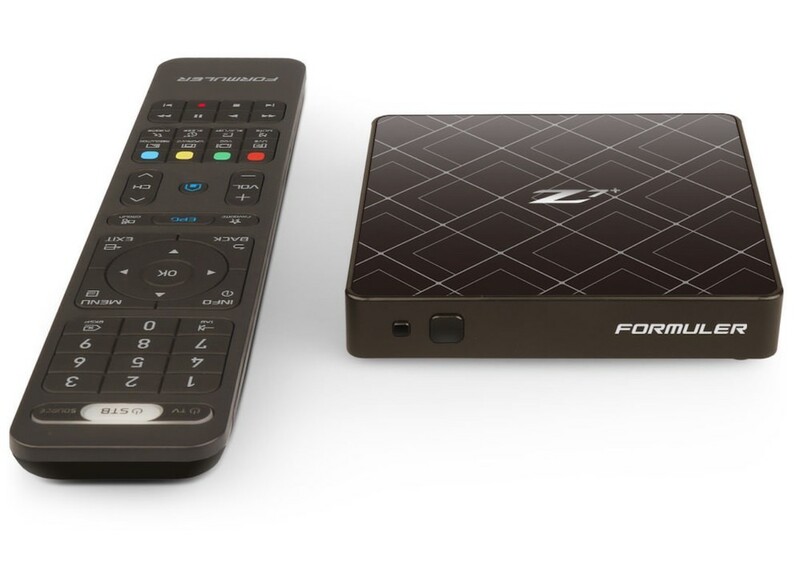 There’s no denying how powerful this little machine is; it’s a great companion to anyone who is already using a premium IPTV service and who has a stable Internet connection. 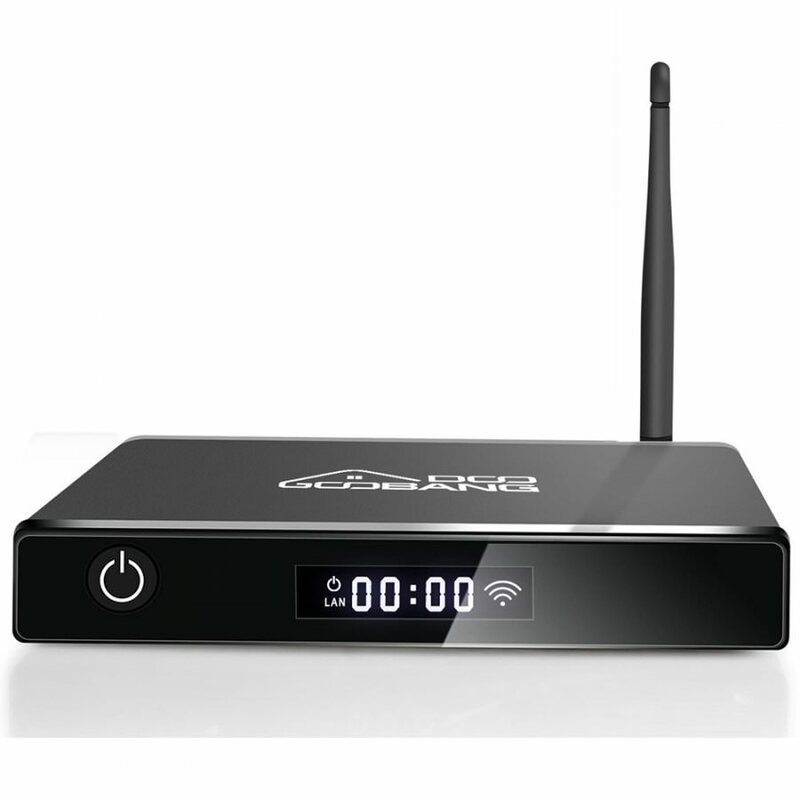 At its heart, it’s a typical IPTV box that lets you stream video on demand and live television from a variety of IPTV providers, and it runs on the secure Android Nougat 7.1 operating system. This operating system supports tens of thousands of popular apps, and it’s a framework that is regularly updated for better security. In all, there are only two choices of color: silver and black. Both of them look nice and sleek, however. 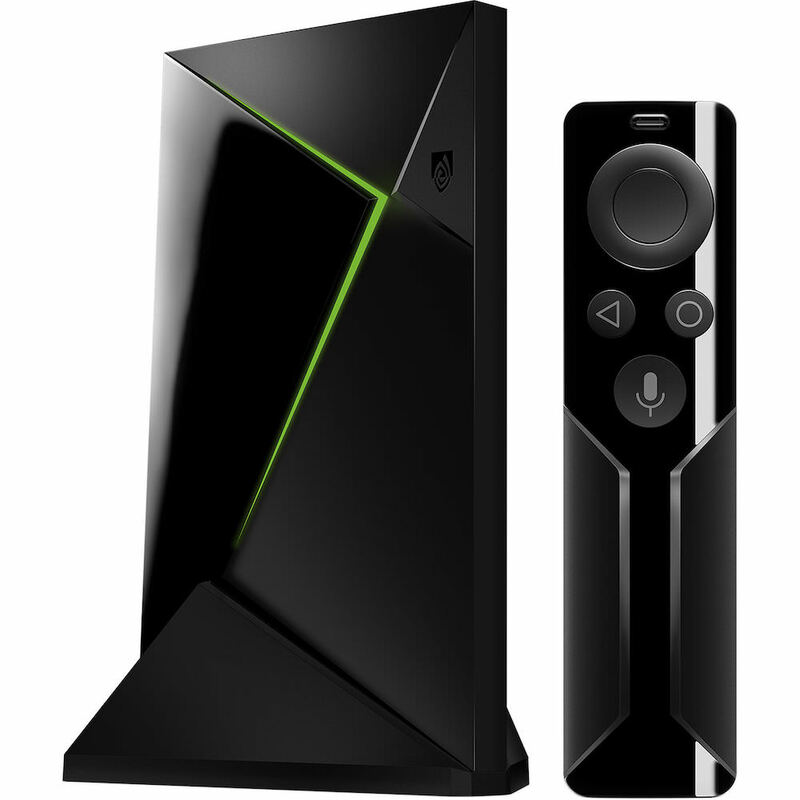 First and foremost, NVIDIA is a name that you have certainly heard of before, and its TV options include Netflix, YouTube, Hulu, and now Amazon, along with several other options to install. The Shield is also capable of producing a 4K resolution as well as high dynamic range (HDR). It doesn’t have the same amount of 4K apps as the Roku devices offer, but it does have 4K where most users want it: in YouTube, Amazon, Netflix, Hulu, Google Play Movies, TV, and Vudu. Amazon and Netflix can also take advantage of HDR, and so too will Vudu upon its HDR10 support release. Overall, the Shield may actually be the winner when it comes to streaming games to another streaming device, but it falls short where it counts; it doesn’t have tier 1 title access for games that have just launched on PC, PlayStation, or Xbox. The only games you’ll find available on Shield are games that have already had their 15 minutes of fame. That of course does mean its library continues to grow over time, and there are plenty of options currently there. Bottom line: The NVIDIA Shield is its best iteration yet, and the addition of Amazon is what makes it a true contender putting it on the final spot for out top list. Unfortunately, 4K streaming is still a concept in its infancy, so it is one that usually requires having to pay a higher subscription with certain services, such as on Netflix. However, the more households start to get reliable, fast Internet connections, the more 4K content is starting to appear as an affordable option. All the mainstream services like YouTube and Amazon Video are gradually developing a bigger 4K catalog. For one, it is not uncommon for Internet service providers to block certain websites or throttle your connection when you have streamed more than they would like you to. There are some providers that block IPTV services, particularly in the United Kingdom, or that otherwise throttle your connection simply for visiting these websites. By obtaining a VPN, you can avoid the throttling and bypass any blocking because the providers will not be able to tell what website you’re going to and what services you are engaging with. Another issue is that you can’t completely escape regional locks through some streaming services, such as Netflix, Hulu, and the BBC iPlayer; different content is available in different parts of the world, or the rights to stream in a certain country may not exist. With the help of a VPN, you will be able to spoof your location so the services cannot tell where you are located, and so they will not block the content that is otherwise not available in your country. It’s also a good option to help avoid issues with connection, such as dropping or buffering, by providing a focus tunnel connection to a server close to where the streaming service is located, making the most efficient route of transferred data. Finally, it’s simply good peace of mind for anyone who is worried about privacy or anyone who may want to spy on their programs. Though there are lots of different VPNs to choose from, they each offer a variety of different services and can range in difficulty of initial setup. Fortunately, researching them is as easy as researching your next IPTV device. We briefly talked about Kodi earlier in this guide. The name refers to an application that lets you manage and play just about all kinds of media, including pictures, remote streams, locacl video files, and just about any video file format you can think of. It also comes with thousands of free an dpaid third-party plugins to expand its overall functionality. Kodi relies on media that you already own, so it will not save you money from video streaming services all on its own. Instead, the point of Kodi is as a support utility, as it provides comprehensive cross-device functionality and support for a huge range of file formats. What content does Kodi stream? Kodi’s homepage is clear that it doesn’t directly provide any content, and it does not condone piracy. That said, the software cannot tell whether the content you are streaming is legal, so it is entirely your responsibility. It’s easy to provide content to your library; you just need to click a specific video type, such as movies, then click Flies followed by the source you wish to add. You’ll have to name this source. It’s entirely possible to watch live television with Kodi, but it’s not the easiest thing to set up and requires heavy research. If you choose to do this, then you are doing to need a personal video recorder, a client, a front end, and a back end. The short answer is that Kodi is completely legal if you use it as intended. Kodi does not condone streaming pirated content, so avoid this.